Congratulations to the four Monash University student teams that competed in the Cyber Security Challenge (CySCA) 2017. Kudos goes to Monash team – MONU1 that placed second out of 79 teams in the Challenge. Two other Monash teams were also placed in the Top 10 with our third team ranked 33. With three teams finishing in the top 10, this is the first time Monash out-hacked its rival – UNSW. CySCA is Australia’s largest hacking contest for tertiary students and is led by the Department of the Prime Minister and Cabinet. This Challenge, the fifth to take place, was held over 24 hours on 10-11 May and tested a variety of skills in cyber penetration and forensic analysis. The Challenge exposes undergraduate and vocational students to the variety of careers available in cyber security. Participation in the challenge enhances students skills in corporate network and web penetration testing, forensics, network detect and defend, cryptography, programming, secure coding and password cracking. Each team consists of four students from 26 institutions. Monash had four teams participating and students devoted weekends preparing for the challenge supported by our industry partner, Ernst & Young as well as a team of academics and tutors who were on hand to guide the students. Our second placed team members were William Donohoe (Captain),Vatsalya Goel (Vice-Captain), James Grant and Cameron Drysdale. The students are studying a range of degrees including Bachelor of Science, Bachelor of Engineering, Bachelor of Software and Bachelor of Information Technology. 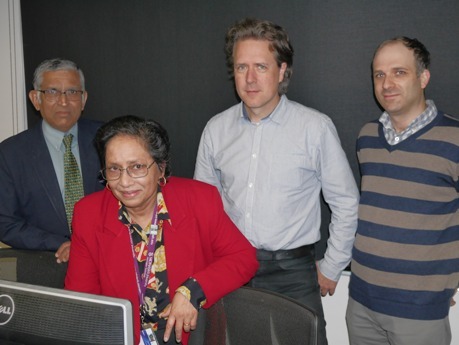 Dr Nandita Bhattacharjee, Faculty of Information Technology, Cyber Security Lab said, "We are incredibly proud of all our teams and their results in this national challenge. 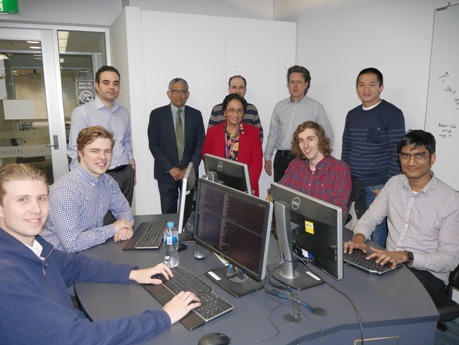 Cyber Security is becoming an area of increased interest both nationally and internationally and Monash offers the opportunity to be at the forefront of the industry with these challenges – opening doors for talented students who are able to hack their way to future careers." The Challenge is designed and run by Telstra, Cisco, Commonwealth Bank of Australia, PricewaterhouseCoopers, Splunk, Facebook, Hacklabs, and Microsoft who have committed significant time and resources to the Challenge, providing a pool of prizes. Many participants go on to secure jobs with the high profile CySCA partners after finishing university. The winning teams will be presented with Awards at the CySCA Ceremony in Melbourne on 28 June at the Data61+ Live conference. You can view the rankings of all teams that participated.